BALTIMORE, Maryland – Eugene Monroe, the NFL offensive tackle, has been released into free agency by the Baltimore Ravens, a move Monroe believes is due to his advocacy for medical marijuana. Monroe has donated $80,000 toward research for medical marijuana use in the treatment of concussions and traumatic brain injuries. The NFL recently settled a multi-million-dollar lawsuit by former players who contend the NFL didn’t do enough to protect its players from the lifelong consequences of concussion. With many players becoming addicted to powerful painkillers, Monroe advocates for the removal of cannabis as a banned substance for NFL players, so they could use it for pain relief instead. 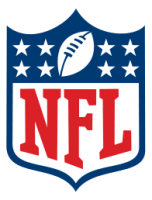 ESPN NFL Insider Adam Schefter reports that Monroe could end up with the New York Giants, San Diego Chargers, or maybe the Seattle Seahawks, who play where marijuana is legal. LOS ANGELES, California – The California chapter of the American Civil Liberties Union has endorsed the Adult Use of Marijuana Act. Passage of the AUMA would legalize the possession of an ounce of marijuana and the cultivation of six cannabis plants. Citing the racial disparities in ticketing and arrests that still occur despite a decriminalization law passed in 2010, Margaret Dooley-Sammuli, criminal justice and drug policy director with the ACLU of California, said “It is time to move from prohibition to regulation.” From 2011 to 2014, the California ACLU found that there were roughly 60,000 marijuana arrests. Those arrests were over 70 percent young people and over 70 percent people of color. PHOENIX, Arizona – The public electric utility in Arizona has made a $10,000 donation to a group fighting the legalization of marijuana. KJZZ Radio reports that Arizona Public Service spokesperson Jim McDonald warns about the possibility of stoned employees affecting “the public safety aspects involved in providing reliable electric service….” McDonald denies any customer money was included, saying the $10,000 came only from “shareholder funds”. The anti-marijuana group is known as Arizonans For Responsible Drug Policy and is vice-chaired by Yavapai County Attorney Sheila Polk and has so far raised at least $480,000. The ballot initiative to legalize marijuana in Arizona specifically protects the right of employers to maintain so-called drug-free workplaces. WASHINGTON, D.C. – The Marijuana Policy Project, the DC-based reform group, has officially endorsed Libertarian Gary Johnson for president of the United States. MPP was quick to note that the endorsement is based solely on Johnson’s “A+” rating on the issue of marijuana reform and not based on any of Johnson’s other policy proposals. Critics point out that Green Party candidate Dr. Jill Stein also receives high marks for her marijuana policy poposals, but MPP head Rob Kampia stated that, “Of the three presidential candidates who will appear on the ballot in all 50 states and D.C., Gary Johnson clearly has the best position on marijuana policy,” implying that Dr. Stein didn’t merit consideration due to lack of nationwide ballot access.